Repurposing your creations or content is a great way to maximize your money, time, and/or effort. 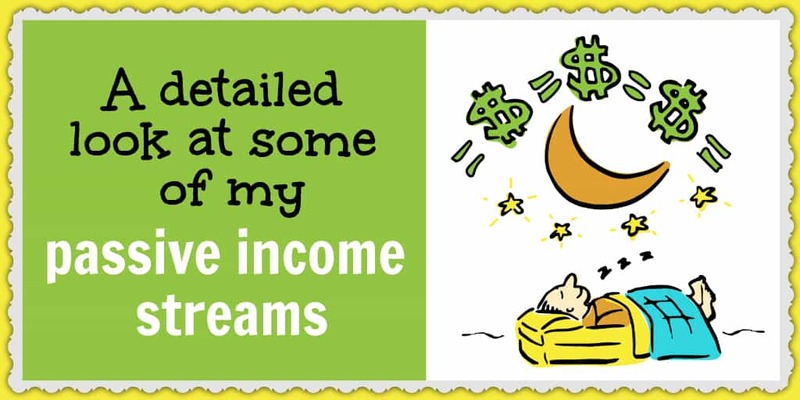 You can earn income or win back time without having to start from scratch. And because of that, I’m always looking for ways to turn things I’ve already created (like an article or design) into something else. One of the more recent things I’d been testing was putting my Low Hanging System designs up for sale on photo-sharing websites. I wanted to see if it was an easy win to make money using those other sites. Other sites exist, but these sites are the easiest and have the most straightforward signup processes. They were all free too, which I consider when trying to make accessible case studies for everyone. Sign up for each site (you’ll learn how to do that below). Upload 10-35 designs almost every day for close to 3 months (you’ll also learn how to do that below). The point of the case study was to experiment, experiment, experiment. I didn’t give much direction at all. The process of adding designs doesn’t take too much time – maybe 1-2 minutes per design at max. And it seemed like just like with the normal LHS methods, you need to add a lot of different designs to each site to increase your odds of having some get downloaded. This section will have the most detail since it’s where we got our best results (though not necessarily fantastic). Not stellar, I know. But keep reading. Of the 322 images that got approved, 176 (roughly 54.66%) were text based and 146 (roughly 45.34%) were image based. Of the 21 downloads we were paid for, 7 of them (33%) were text-based designs. That was surprising! I figured that since these are stock PHOTO sites, the text wouldn’t do too well – but I mostly only have text designs and figured it was worth a whirl. Crazy, right? I would think someone could easily make this on their own. – Incorrect Illustration Designation: This image cannot be designated as an illustration. Please do not check the “Illustration” checkbox when submitting. We also had weird things where they’d say we had trademark issues on things that clearly weren’t trademarked. But given how fast it is to upload, it wasn’t a huge deal. And now that we know the auto-traced illustrations aren’t acceptable, we can avoid them in the future. As you can see, we only sold designs on Shutterstock and Adobe Stock. And Adobe was just ONE design – so I’d stick with Shutterstock only from here on out. Here are some overall thoughts from this experiment. a. This case study turned into a numbers game, as many of the designs my assistants submitted got rejected for one reason or another. The goal became to upload as many designs as possible to each of the photo-sharing websites and then see what got published. b. You never know what will sell – I was shocked to find 7 of the 21 downloads were text-only, and a “Best Respiratory Therapist Ever” one? Crazy. c. We didn’t study Shutterstock SEO or anything like that. There may be some tweaks that could make things go a lot better. d. $5 isn’t a huge deal. But doing the math over the course of a year, you’d be “making” $8.93 an hour – with more potential – by uploading your designs. Here’s how I figured that out. First, to be fair, this is based on 322 designs and some of them were added in a week or two ago. I think it’s very reasonable to assume $5/month from the 322 we have thus far. If we say we’re going to add in 1,000 designs, that’s 3.1x what we have now. $5 at 3.1x would mean you’d make $15.50 a month or $186/year for who knows how many years. And of course I’m computing everything based on OUR numbers, but it’s very likely that the more you likely you find a big winner – just like with Low Hanging System. But we’ll assume my metrics. You need to spend time getting each photo ready. Each one needs to be at least 4 megapixels (easy to batch change with MerchResizer.com) and in .jpg format. Each photo also needs a keyword (you can just click their suggestions or take a few seconds to add in your own), a category (a few seconds), and a brief description (which can be typing out the name of the image). Assuming you bulk batched big quantities at a time, it’s fair to say you’re spending 1 minute per design. Now to factor in for rejections, let’s say you had to spend 1.25 minutes for every design to get to 1000 approved designs. I’m also considering here that these designs are ones you’ve been using for LHS, not that you’re creating NEW designs. 1000 designs = 1250 minutes = 20.833 hours for $186/year (which I really think would go up if you added in more designs). – This helps you hedge against LHS designs that may not have sold. Some of the items we’ve sold with ShutterStock never sold on mugs. – You can follow the rules better than we did and not have so many rejected designs. If you spend 1 minute per design then you end up making $11+/hour for your first year. Personally I’m working on higher-ROI activities *but* I would be curious to see what would happen if we uploaded more and found winners. If we have slow periods I might ask my outsourcers to throw up more designs to see. We could also look into Shutterstock SEO. I guess it’s really up to you and whatever point in your journey you are. Making any hourly rate might be useful for you – and I get it, if so. Click the Become a Contributor link at the top right. In the tab that opens up, click Sign up now. Fill out your information to join the community and click Next. Enter your address information and click next. On the next page, upload your ID (passport, driver’s license, or state ID). It takes 2-3 days to verify, but you can start adding images right away. Login to your Shutterstock Contributor account. Click the Upload images button. Drag and drop your files where prompted (files should be either .eps or .jpg and at least 4.0 megapixels) and click next. On the next page, select the image you want to upload, fill in the information (see below), and click submit. Click the blue Sell images button on the top right-hand side. Fill in your Adobe Stock Contributor information and click Sign up. Look for your confirmation email and click the provided link. Make the appropriate selection: Yes, I’m a Fotolia Contributor or No, I’m not. Proceed to next step. Assuming you’re not, on the next page you should be able to upload designs to start selling. Sign into your Adobe Stock account and click the Sell button at the top. Click the Upload button and either drag and drop or browse files on your computer. Fill in the image’s information and related keywords (see below). Go to Alamy.com and click the Sign up button. Choose Sell images from the dropdown. Fill in your information as a contributor (see below). Agree to Alamy’s Contributor Contract and its TOS and click Sign up. Click the blue Get Started button. Choose your upload route (Stock –> Illustration) and click Next. Upload 3 images (you need to submit 3 images for your first stock submission, and images need to be at least a 17MB file when uncompressed, which is a .jpg size of around 3-5MB) and click Submit. Title your submission and click Finish upload. Login to your Alamy account. Click My Alamy and choose My dashboard from the dropdown. Click the blue Upload button, choose your upload route, and click Next. Drag and drop images or browse files on your computer. Your image will then need to pass Alamy’s quality control and you’ll get an email within 24 hours about it. If your image is approved, you’ll be able to add specifications and tags to improve its search visibility. Go to Crestock.com and click Log in. Click the green SIGN UP NOW button. Fill in the required fields (see below). Check your email and click the login URL and log into your new account. Click the Upload images link under Selling images. Where it says Choose file, select .jpg and vector files from your computer and click Upload files. (You can upload up to 10 files a week). You’ll also need to review and agree to the Artist Image Upload Agreement. I’m genuinely curious what you think about this. Do you think it’s worth adding your designs to a photo-sharing site, like Shutterstock? Is there something else you’d like us to test out? I’m crap at responding sometimes but I do read and appreciate every comment.